Briefly, what are feed rules? Feed rules give you the ability to transform your data to match the Products Feed Specification requirements of Google. 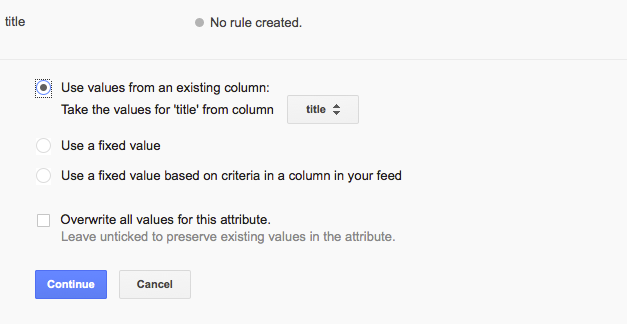 With feed rules you can resolve errors and help Google to interpret the data in your feed. Feed rules make it possible for you to submit your product database as it is and then transform it easily into a data feed which Google requires. A feed rule is a data transformation rule where you define how the Merchant Center should interpret your committed product data. 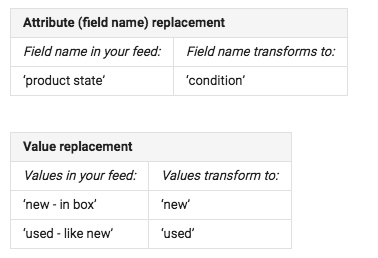 Replace your field names with attribute names, which are supported by Google. 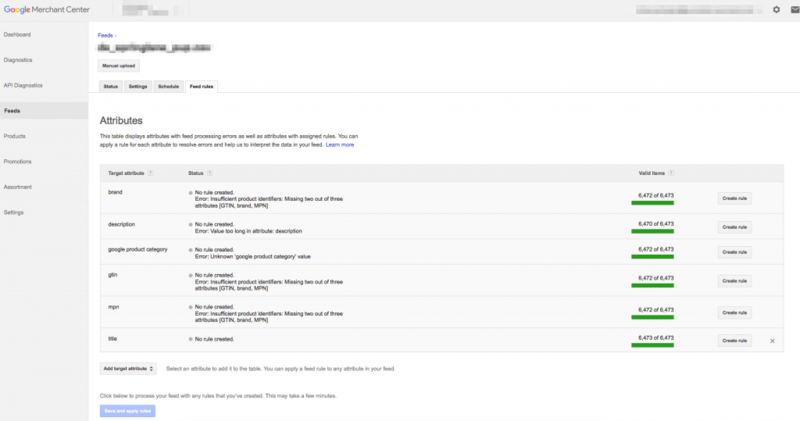 Replace the values in your feed with values compliant with Google Shopping Products Feed Specification. Populate missing attributes with a static value, or with different static values based on conditions. 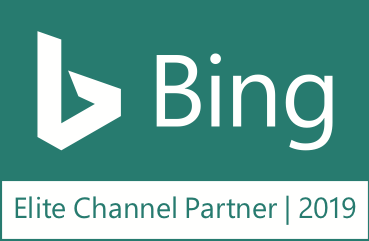 For example, if the field headers of your product data feed – which you submit – are named like ‘main title’ or ‘long description’ you don’t meet the Google data feed specifications. Usually your data feed will get declined – but if you apply the feed rules you can match those wrong named field headers to the right ones. You will find the feed rules in your merchant center in the feed section. As mentioned in our latest blog post for feed rules, there are two options on how you can use them. You can either apply feed rules for attributes with errors, or create additional attributes. You can choose the attributes you want to use via the dropdown menu, or Google suggests them if you have any attributes with errors. If you have chosen the attribute which you want to work with, you can then decide between the rules you want to apply. Try the first and only tool especially designed for Google Shopping! With “Use a fixed value” you can set the value for a specific attribute e.g. if you have forgotten to submit a value for the attribute condition, you can solve this issue by matching the ‘missing’ values to the value ‘new’. 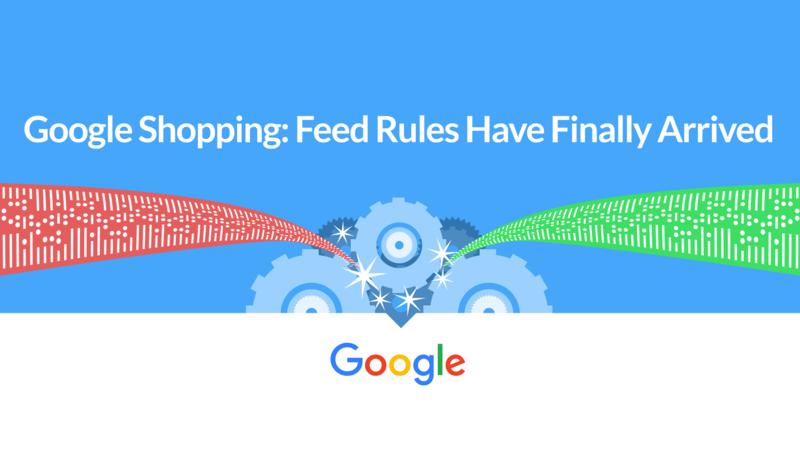 Feed rules are really powerful and will help a lot of merchants to handle their data feed with ease. What do you think about this feature? We would be curious to hear about your experiences and opinions!